TESL Toronto: our year in review #30Goals for 2012 has begun! This is the first Grammarology column for 2012. The column will run every few weeks. In the mean time, please, send in your grammar questions. Anything from the trivial to the profound is welcome. Comments are also very encouraged. A: Generally speaking, that can be used with integrated (restrictive) relative constructions (e.g., This is the one that broke), and which can be used with both integrated (e.g., This is the one which broke) and supplemental (non-restrictive) relatives (e.g., This group, which I’ve taught before, is a nice one). Of course, as usual, there’s more to this than the above. The word that is a subordinator; it is not a relative word like who, where, when, or which. It’s the same that used in content clauses (“noun clauses”; e.g., He said that it was time to go.) This gives it the flexibility you see below. And, as a result, even in integrated relative clauses, that and which are not always interchangeable. We have to protect the environment in which/*that we live. No art can be properly understood apart from the culture of which/*that it is a part. He’s the best (that/*which) I’ve ever seen. He’s the fastest runner (that/*which) I’ve ever seen. Also in cleft sentences like the following where a prepositional phrase is being modified, only that is available. It wasn’t for you that/*which I bought it. It was before I moved here that/*which I met her. As you can see here, if that were a pronoun, it would be a pronoun that replaces not just nouns but almost everything under the rainbow. But if it’s a subordinator, it’s doing exactly what we’d expect. Merriam-Webster’s Dictionary of English Usage has a good historical overview of the evolution of which and that in relative constructions. They call that a relative pronoun, and historically it may have been so. Now, however, it is a subordinator, as I said above. Other English subordinators include to (e.g., it’s hard to change), for (e.g., it’s hard for me to change), whether/if (e.g., I wonder whether I can change), and how (e.g., I don’t know how I can change). 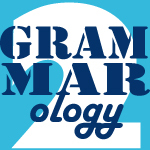 Grammarology 2.0 aims to take the discussion of grammar up a notch or two (your mileage may vary) and should appear about once every few weeks. It’s written by Brett Reynolds, who teaches EAP at Humber College and is just about as nerdy about grammar as you can get. He’s is always happy to take questions, which you can send to info@tesltoronto.org. This is a very immediately useful point, Brett, which I’m sure many grammar teachers are happy to know rules for. Interesting though, I’ve never heard relative clauses referred to as “integrated” before. Restrictive or non, Defining or non, but never “integrated”. Here, the clause is integrated into the NP. It’s not supplemental. We can’t just leave it out. But if she only has two sons, in no way is it restrictive. So even though it’s less familiar, I think it’s more useful to think of it this way. As a fairly new ESL supply teacher, I love teaching grammar, but I admit, this article has left me extremely befuddled. I’d never heard of cleft sentences or post-modifying superlatives or integrated relative constructions, and I feel like I had been comfortably treading water in a very small pond, but have now found myself dog-paddling in an unfamiliar ocean of grammatical confusion! However, with 30 years of Admin Assistant experience under my belt, one skill I have developed is that of proof-reader. There is one teensy little error in one of your paragraphs that came under my radar. I’ve capitalized the word in question. A tiny typo, but it adds a little confusion to an otherwise already overwhelming work. Hi, Nancy, and thanks for the proofread! Fixed now. There’s nothing wrong with a bit befuddlement, as long as it’s not overwhelming. If you look at the examples, can you puzzle out one or two of the terms? Ohhhh, “puzzle out” isn’t exactly the word. It’s more like “climbing Mt. Everest”. What I’ve realized is that, although I’ve always loved the study and teaching of grammar, I have miles to go before I can consider myself a good teacher. Your article just reminds me of that. Being a good teacher isn’t determined by the amount of deep grammar understanding you have, Nancy. How you teach should be more functional than technical. This column is largely for people with a particular interest in the technical aspects of grammar, not a guide by which to teach. What Tyson said: being a good teacher doesn’t stand or fall on your knowing lots about grammar. There are a few terms here that you don’t know, but it’s not insurmountable. What, for example, do you think it would mean to post-modify something? I have to reply on Tyson’s post because I can’t see a “reply” to click on, on Brett’s post. But I have to say with sadness that I had to google “post-modifier”. Once I read the description, it made sense to me, but it saddened me to have to google something I should already know! @Nancy: Who’s to say you should already know it. I have to look up grammar stuff all the time, and I’ve been in this game for 20 years. Yes, @Nancy, give yourself a break! =) I’d venture to say that the majority of ELT teachers don’t know the meta-language of the grammar they teach that deeply. Well, I do feel a little better, thank you! I still feel intimidated by what I don’t know, but it’s nice to know I’m not the only overwhelmed fish swimming in this complicated ocean! Maybe you have a question I could deal with in a future column. Occasionally I do think of a question, but by the time it comes to actually ask it, I’ve forgotten what it was! Middle-Age Memory strikes again! There is another “which” use that often puzzles students — when “which” refers back to a whole idea in a sentence, like: “He got married again a year later, which surprised everyone.” In this case , you can’t say “that”. Hi, Patricia! I don’t think I’d get a whole column out of it, but most dictionaries list Internet with a capital i, and most published sources follow that style; that is most people capitalize it. You can see in the graph I’ve linked to, however, that the capitalized form is becoming less common and the lower-case form is increasing in frequency. Personally, I find the idea that it should be capitalized contrived, and I prefer the uncapitalized version. Would you capitalize the Phone System? I think that’s a great question, Patricia. It’s another example of how English is always changing, something my students are always commenting on. Another relatively new phenomenon is the addition of a few new verbs, namely “to text” and “to friend”, which only came into being thanks to social media (which also gave us carpal tunnel syndrome, but that’s another story).